Poe Ballantine is building fine body of work, in particular his tragicomic nonfiction in which he explores and chronicles his own and America’s frailties, absurdities and shortcomings. 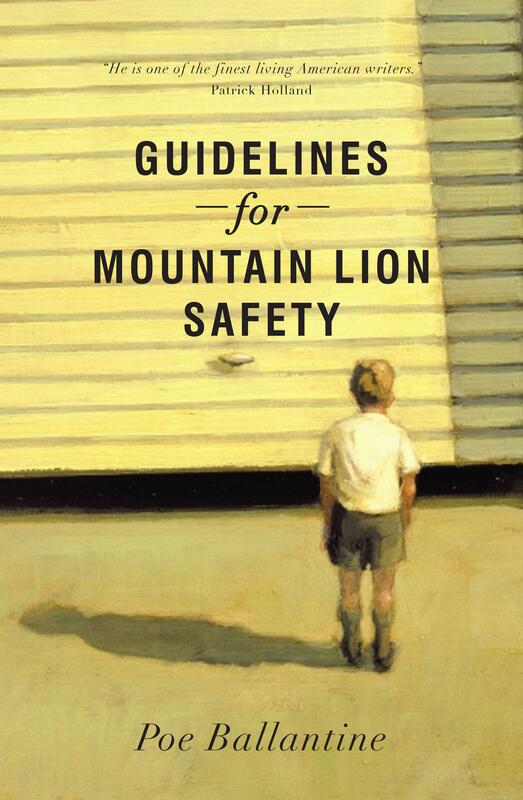 Guidelines for Mountain Lion Safety is Ballantine’s new collection of essays, and it is his most emotionally honest work to date. Ballantine is never short of self-commentary, but here he achieves a lighter touch that better balances his often brutal self-deprecation with openness and tenderness. Booze and drugs are subjects often visited. Not in judgement or nostalgia, but as natural elements of our unresolved longings. ‘The Fine Art of Quitting’ is a beautiful examination of alcoholism in a family that ponders the reasons three people – the author, his sister and his father – resort to drink. It is one of the most enlightening essays on the subject I have read, and gave me pause to consider my own behaviours and the yearnings that drive them. In this way Ballantine invites us in, by engaging with how the exigencies of life push us in directions we cannot quite believe we are taking, even as they unfold. These are stories of scrappy jobs and cheap hotels, hangovers and cigarettes and coffee. Businesses fail and travel adventures go awfully wrong. There are suicides and rapes and cruel evictions, clumsy fights and fumbling romances. It is not a book that flinches, it is one that celebrates the simpler joys that become apparent the longer we manage to hang around. All the while Ballantine is writing, barely at first, then badly a lot, as he scratches around for a living and for some scent of who he is. Life may be no more than what we do while living, but it’s paying attention that really counts. Thank goodness for Poe Ballantine, for while he is around we have someone wise and perceptive paying attention for us.